Survivors include his wife: Peggy of Nauvoo, Illinois; four daughters: Suzanne Smith of Fort Madison, Iowa, Renee (Tim) Watznauer of West Point, Iowa, Kathy (Robert) Hornung of Montrose, Iowa and Jennifer Kraft of Nauvoo, Illinois; nine grandchildren: Steven Smith, Erica (Travis) Eastin, Danielle (Bryor) McMillen, Brittany, Brandon, Mykayla Watznauer, Ashton (Kailie) Hornung, Kaitlyn Hornung and Addison Markey; two great-grandsons: Mason and Griffin Eastin; one great-granddaughter on the way; three sisters: Betty (Larry) Hopp of Nauvoo, Illinois, Marietta (Bob) Gavillet of Carthage, Illinois and Johanna (Oren) Nussbaum of Chatsworth, Illinois; three brothers: Guy C.P. (Janice) Kraft of Texas, David (Joan) Kraft of Nauvoo, Illinois and Robert (Barb) Kraft of Niota, Illinois. Also surviving are several nieces, nephews, and cousins. 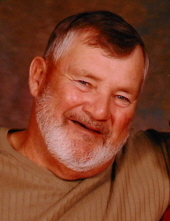 John served in the United States Navy as a machinist from 1960 to 1964. He was a mate on the USS Dahlgren that took missiles out of Cuba during the Cuban Missile Crisis. He worked in construction for thirty-four years. John was a member of the Nauvoo American Legion Post #711. He enjoyed butchering meat, fishing, hunting, gardening, going to farmer’s markets, being outdoors and woodworking. Friends may call after 1:00 p.m. Wednesday, January 16, 2019 at Schmitz - Banks & Beals Funeral Home in Nauvoo, Illinois, where the family will receive friends from 5:00 p.m. to 7:00 p.m. that evening. A Funeral Service will be held at 10:00 a.m. Thursday, January 17, 2019, at Schmitz - Banks & Beals Funeral Home in Nauvoo with Pastor Mark Lowman as Celebrant. Schmitz - Banks & Beals Funeral Home in Nauvoo is assisting the family with arrangements. Online condolences may be made to the family at www.sbbfuneralhome.com. To plant a tree in memory of John Edward Kraft, please visit our Tribute Store. "Email Address" would like to share the life celebration of John Edward Kraft. Click on the "link" to go to share a favorite memory or leave a condolence message for the family.